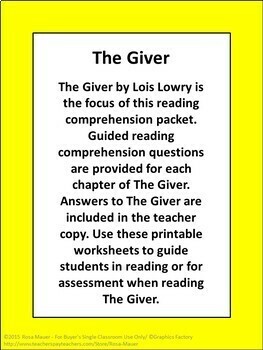 The Giver by Lois Lowry is the focus of this reading comprehension packet. 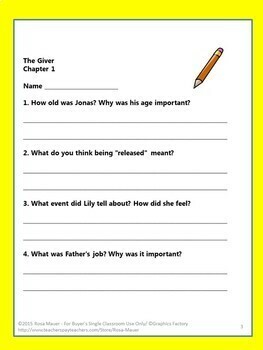 Guided reading comprehension questions are provided for each chapter. Answers are given in the teacher copy. Follow me to receive notice when FREE or paid products are posted at my store. 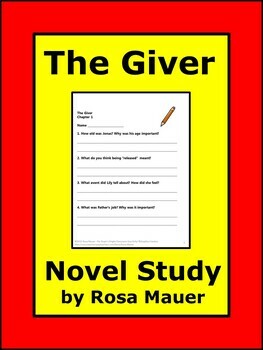 Visit my store to view products such as task cards, book units, and poetry packets. Remember that my products are for single classroom use only. Please do not post on school or other web sites.